Nov. 30, 2017, 10:42 a.m.
By Laura Hazard Owen @laurahazardowen Nov. 30, 2017, 10:42 a.m.
On Wednesday, when Donald Trump retweeted three unverified anti-Muslim videos from the leader of a British far-right extremist group, Le Monde was on the case: It posted a debunk of the videos, with context and background. 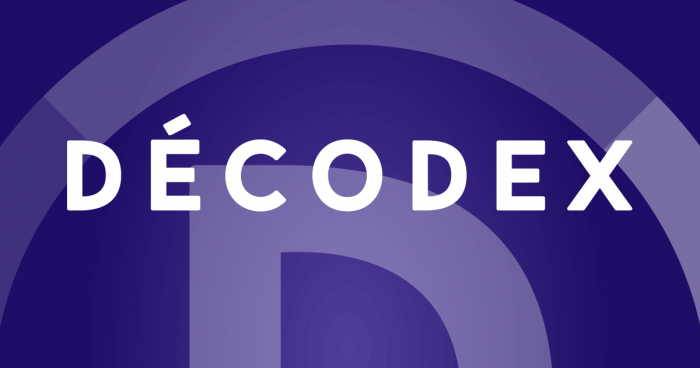 Today, Décodex allows readers to search a database of around 1,000 websites and social media profiles (up from about 600 at launch in January). Sites are divided into four categories: those that regularly disseminate false information; those that are unreliable (occasionally publishing fake news, not citing sources); satire; and reliable. (The methodology is public, here.) There are also extensions for the Firefox and Chrome browsers, and a Facebook Messenger bot that users can ask to either verify a site or search for information on hoaxes that Le Monde has debunked (so far, about 160 hoaxes spread by more than 5,000 links). The Firefox extension has over 12,000 users, while the Chrome extension has nearly 27,000 users. Adrien Sénécat, the site’s editor, told me that a “few hundred” people use the Messenger bot each week to find information about a specific site or story: “It’s not massive, but it shows how people are looking for information…a lot of people wonder, if they’re in front of a computer: What is the website, the Facebook page, the Twitter account I am reading right now? We are helping people to answer that.” Readers seem especially confused by satirical sites, even those that fairly explicitly state that they’re satire, Sénécat said — which isn’t that surprising since Décodex found that satirical stories are frequently picked up and re-reported by other sites as fact. 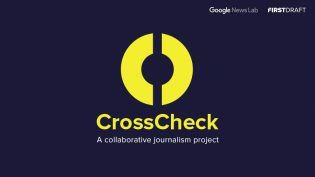 It’s impossible to know how many readers have viewed them, but it’s an order of magnitude [greater than the number of times false stories were spread by other sites]: these links generated about 4.3 million shares on Facebook, for about 16 million interactions on the social network (shares, likes, and comments). That suggests that this collection generated hundreds of millions, even billions of visits to the sites concerned. Of the 101 stories we identified, three-quarters (74 percent) generated more than 10,000 interactions. Of the 10 most-shared stories, only two related to politics; most were related to health. The most-shared story, by far, was a story about a Chinese man contracting worms after eating sushi, which Le Monde debunked here. In addition, the analysis found most sites sharing just one or two pieces of fake news amid real news; for the most part, these sites weren’t solely publishing misinformation. In some of those cases, when Le Monde debunked the stories, it faced backlash, Sénécat told me. “People who spread false information don’t want to be called as such,” he said. “A lot of websites will share false information, and change their story as soon as they are proven wrong, but never correct it. They never tell the reader it was false. What we do is expose this. At some point, it’s up to our readers to wonder…if a website can be trusted or not,” and he thinks part of Décodex’s job is showing the evidence to help readers make the decision. POSTED Nov. 30, 2017, 10:42 a.m.
Owen, Laura Hazard. "After a rocky reception, Le Monde’s Décodex is almost a year into fighting intox (fake news) in France." Nieman Journalism Lab. Nieman Foundation for Journalism at Harvard, 30 Nov. 2017. Web. 25 Apr. 2019. Owen, Laura Hazard. "After a rocky reception, Le Monde’s Décodex is almost a year into fighting intox (fake news) in France." Nieman Journalism Lab. Last modified November 30, 2017. 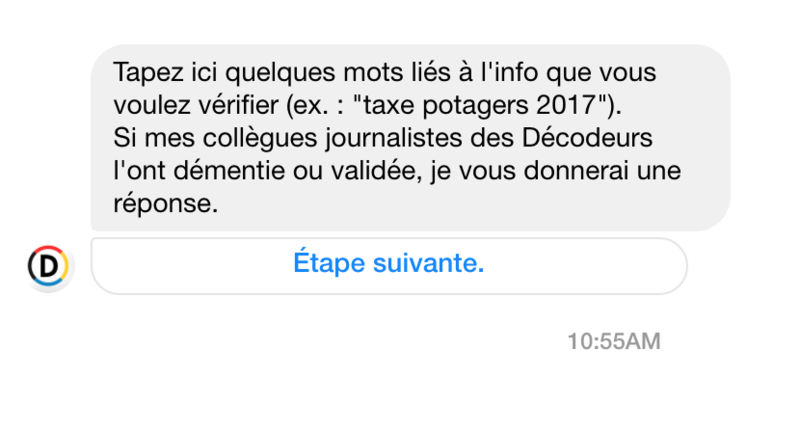 Accessed April 25, 2019. https://www.niemanlab.org/2017/11/after-a-rocky-reception-le-mondes-decodex-is-almost-a-year-into-fighting-intox-fake-news-in-france/.